Today, Soho Teen is thrilled to reveal the cover of Brynne Rebele-Henry’s debut novel, Orpheus Girl. 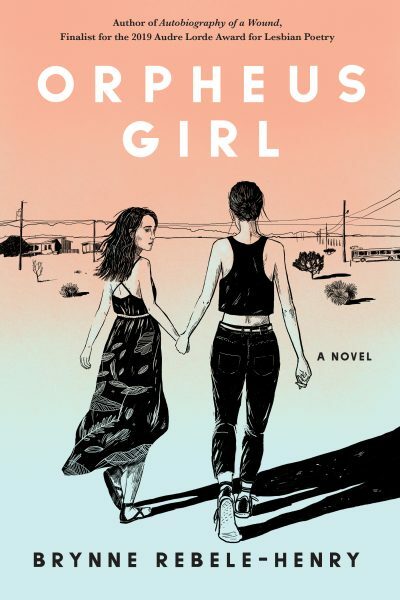 Driven by stunning prose and woven with allusions to Greek myth, Orpheus Girl re-imagines the epic of Orpheus as a contemporary love story between two teen girls in rural Texas. This is Rebele-Henry’s first novel, but not her first published work. By the end of high school, she had published two collections of poetry, Fleshgraphs and Autobiography of a Wound. The latter was selected as a Finalist for the 2019 Audre Lorde Award for Lesbian Poetry. She then turned to fiction, continuing her focus on lesbian representation in literature—the incredible result, Orpheus Girl, will be published on October 8, 2019. Abandoned by a single mother she never knew, 16-year-old Raya—obsessed with ancient myths—lives with her grandmother in a small conservative Texas town. For years Raya has hidden her feelings for her best friend and true love, Sarah. When the two are caught in an intimate moment, they are sent to Friendly Saviors: a re-education camp meant to “fix” them and make them heterosexual. Upon arrival Raya vows to assume the mythic role of Orpheus to save them both and to return them to the world of the living, at any cost. In a haunting voice reminiscent of Sylvia Plath, with the contemporary lyricism of David Levithan, Orpheus Girl is a mythic story of dysfunctional families, first love, heartbreak—and the fierce adolescent resilience that has the power to triumph over darkness and ignorance. Behold the amazing cover and go behind-the-scenes with Brynne in a brief Q&A! Can you talk a little about individual cover elements you love? How does the cover reflect the book? BRH: I love the laurel print on Raya’s dress! It’s such a subtle allusion to the myth. There’s a stunning laurel motif worked into the interior design of the book, too. I’m excited for readers to see it. Orpheus Girl is heavily influenced by the Orpheus myth. Is it a re-telling? An updated version? Both? Neither? BRH: It’s both! The novel is a lesbian retelling of the Orpheus myth. I wanted to take Orpheus’s story and update it. I’ve always loved reading different versions of myths and seeing how the stories and characters have changed over time, so I wanted every character in the book to correspond to a figure from Greek mythology. The novel is set in 2004, in Orpheus’s hometown, Pieria. Though in the novel, Pieria is in Texas, and instead of the underworld, they go to conversion therapy. Are you as myth obsessed as Raya? BRH: As much as I love myths, I think Raya is more fanatical about it than I am! Who is this book for? Who do you hope picks it up? BRH: When I was writing the novel, I thought a lot about the kind of book I would have wanted to read when I was younger. So I wrote this book for young gay people (and for anyone else who wants to read it, of course). You were published at a very young age. Do you have any advice for teen writers out there? BRH: My advice is to write the stories that you wake up in the middle of the night thinking about. What’s a fun fact about you. Go! BRH: I read Tarot! I’ve been reading Tarot for ten years, I almost always have my pack of cards with me. 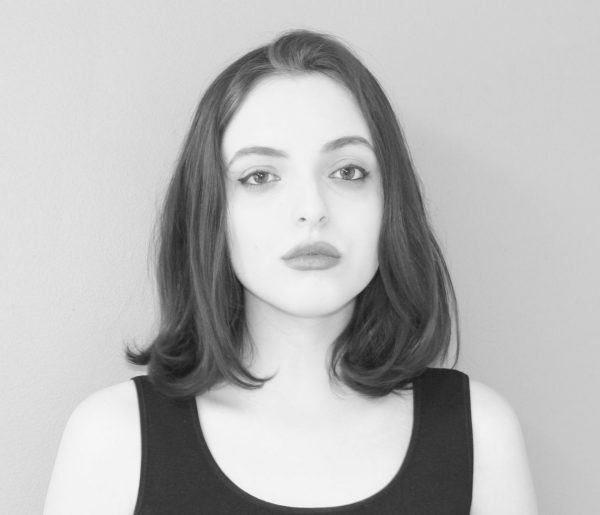 Read more about Brynne Rebele-Henry on her website, and follow her on Facebook, Instagram, or Twitter for updates. You can pre-order the novel here or add it to your Goodreads TBR. Stay tuned for updates—Book Riot will be featuring an exclusive excerpt of Orpheus Girl soon! Reviewers may request ARCs by contacting awejko@sohopress.com.